I am always in search of good craft beer in Japan and around the world. 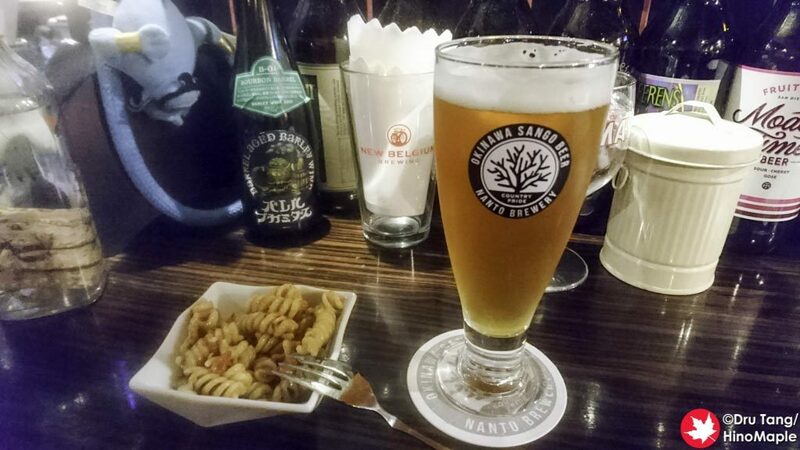 When I visited Naha I knew I had to try some of the craft beer bars. I found a few with a quick web search and one of the closest ones to my hotel was near Kenchomae Station. Craft Beer House Baku had good reviews but I had no idea what I was getting into when I visited. 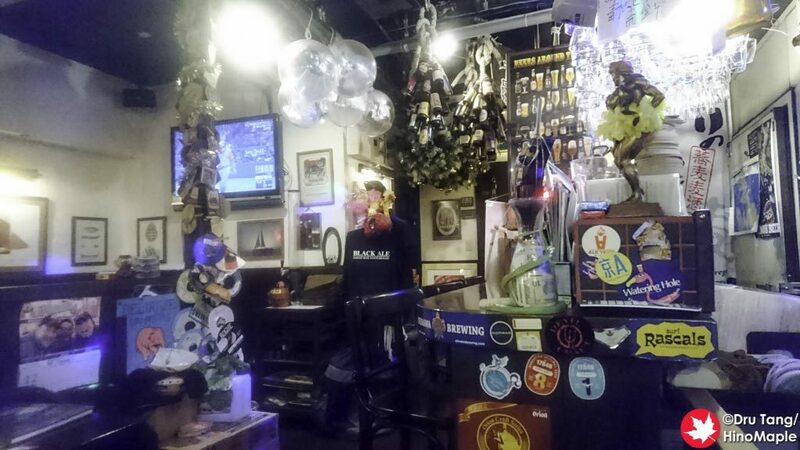 Craft Beer House Baku is run by a really nice Okinawan, Hideto Miyagi. He is a very friendly fellow who was always wearing shorts and had dye blonde hair. When I first entered Baku, I was a little scared as the door is pretty uninviting. I didn’t know if they were open or closed, although the open sign does say they are open. I went in anyways and thought Mr. Miyagi was a customer at first. I then realized that he was just waiting for people to come and was doing a little paperwork as it was a quiet time. 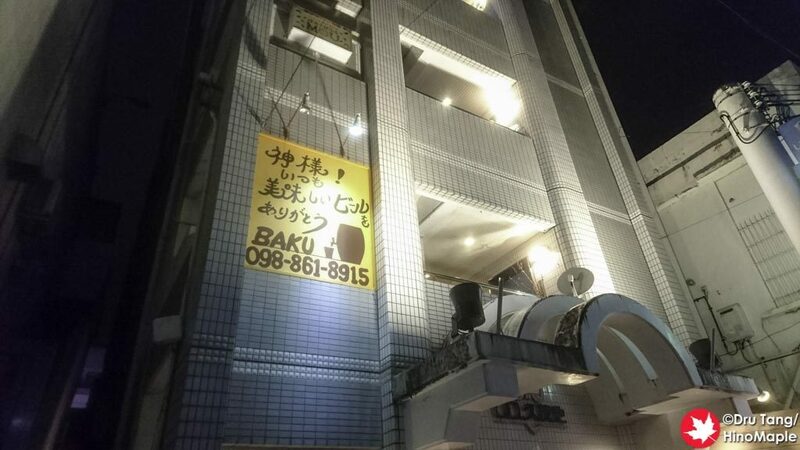 The first night I was in Naha I went straight to Baku to enjoy some good beer and hopefully some good food too. I didn’t know what was on the menu but I soon found out. 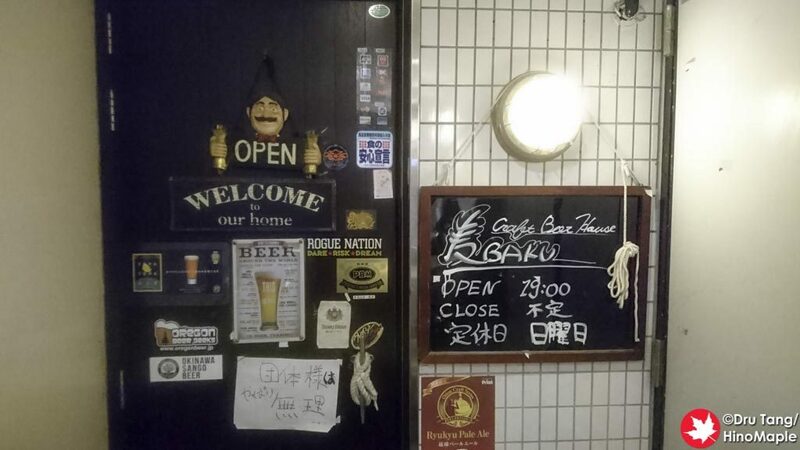 For the beers, he has a good selection from breweries around Okinawa and America. He has the main lineup from Okinawa Sango Beer, at least one beer from Miyakojima Beer and Ishigakijima Beer. They were all typical Japanese craft beers with nothing crazy about them. They all continue to make a good beer and if you are lucky you may run into someone from Okinawa Sango Beer. For food, there is a mixture of both Okinawan food as well as western food. Being my first night in Okinawa I had to have the Okinawan specialties. 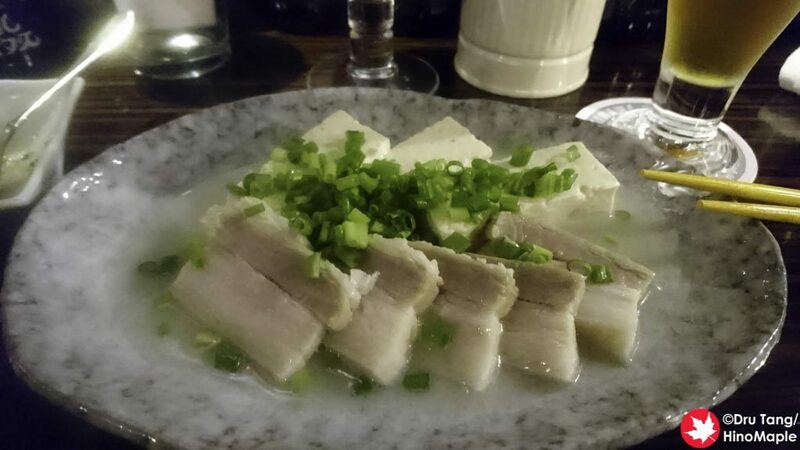 There was the suchika which is salted pork that also came with tofu. It is considered Okinawan soul food and it was really good. 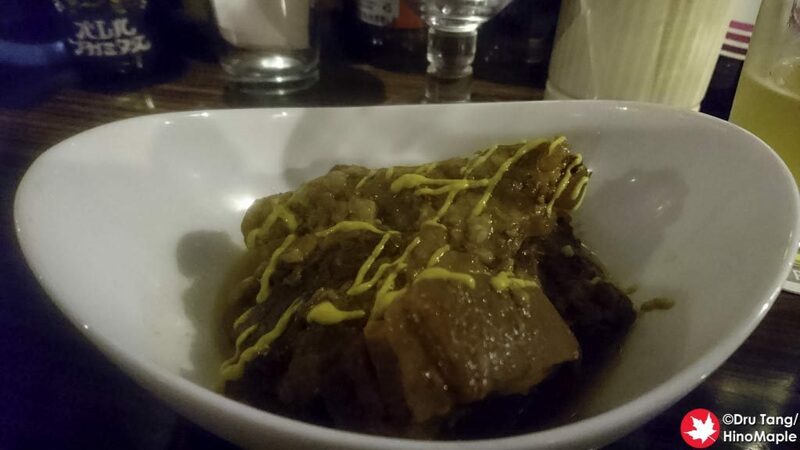 I also had the rafute style dish which is braised pork in a very thick sauce. The sauce was really good and unique to Baku so they didn’t call it rafute. 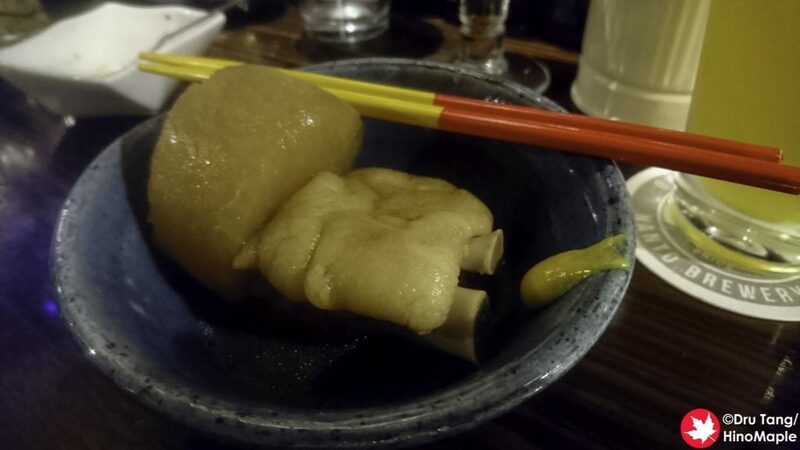 I also had some of the self-serve oden; you just go and grab whatever you want from the oden pot. Each piece is 100 yen and you can even get tebichi, pigs feet. It may sound gross but the tebichi is really good and soft and great for your skin with all the collagen in it. This was all of the local foods that I noticed he had and I was going to try more of the western foods but I was too full to eat anymore on that first night. The thing that I liked the most about Baku was the atmosphere. I often go to nice craft beer shops only to find that they are not very friendly with the people visiting the shop. Either they are too busy or the customers are not really friendly with each other. Baku is a really great place if you want to meet locals. Hideto Miyagi may not appear as friendly at first but once we started talking he was very friendly. He introduced people to each other to create a homey atmosphere and I would happily return in the future. 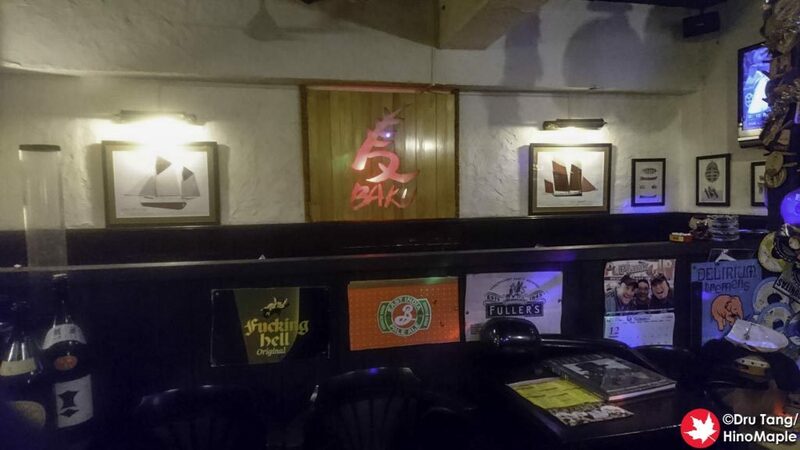 When in Naha, there are several choices for craft beer but you only need to look at one place if you are looking for a home. Baku is my personal favourite, even though I have only been to 2 craft beer shops so far. 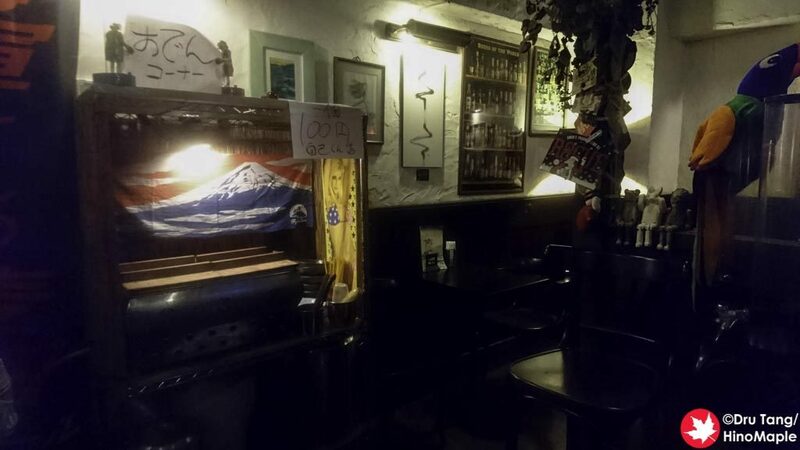 Based on the beer selection and the people there, I can only hope he will continue to be open and that I will be able to visit again in the future. 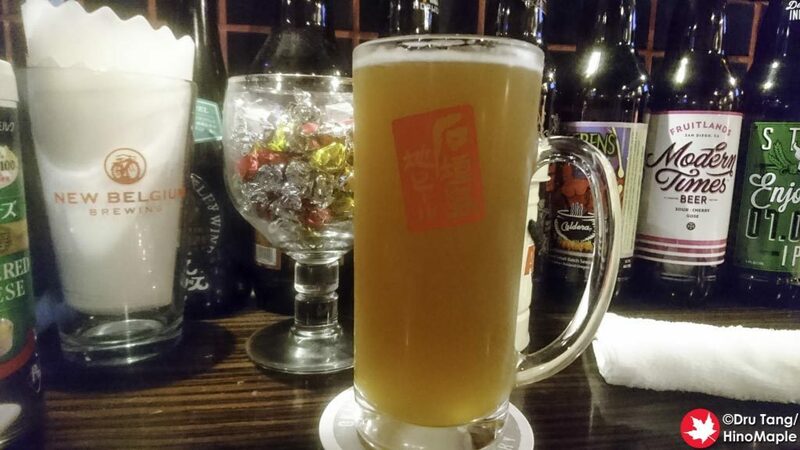 This entry was posted in Okinawa Food and tagged Baku, craft beer, Craft Beer House Baku, Ishigakijima Beer, japan, Miyakojima Beer, Okinawa, Okinawa Sango Beer by Dru. Bookmark the permalink.